Marvel’s Agent Carter is definitely worth your attention and is evolving both on and off-screen. You will enjoy a classic cinematic experience set in a bright city with dark themes. Warning, spoilers ahead. It’s a world of the past infused with modern sensibilities and normal intrigues with sci-fi McGuffins. Marvel has worked carefully and deliberately to develop a large universe over multiple networks using different independent but inter-related stories each with their own identities. Agent Carter is definitely a joy to watch this season, and if you enjoy the classic Hollywood spy caper told with a modern Marvel twist, then I certainly recommend it with four stars with a retroactive fifth depending on the direction of the story. 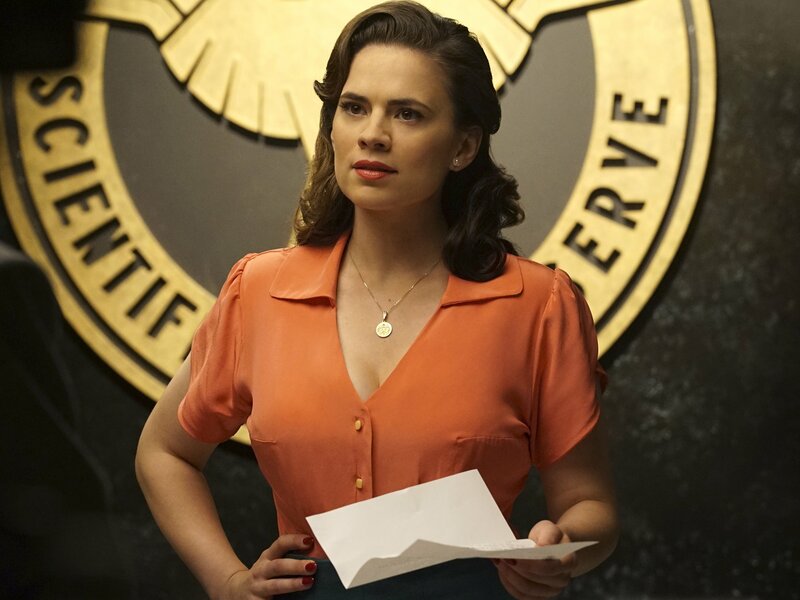 Hayley Atwell brings style and charm to Agent Carter’s second season. The show is a mystery spy thriller that has an identity all its own. It takes place during the late ‘40s and employs the cinematic style of the times. Let me borrow a bit from Amazon when I say it this: People who like Chinatown and Maltese Falcon will enjoy this series. The show’s motifs include musical arrangements employing saxophones and muted trumpets, and characters employing the clipped Midwestern “non-accent” that was the zeitgeist of the period. For the second season our main character finds herself in Los Angeles, California. Everything is warm and bright and colorful. But as with any story about Los Angeles, the high-key lighting and audacious bright colors is merely a superficial veil for what lies beneath. Turning on Isodyne is to turn on the only firm who gave him a chance. This is also a tough position for economic reasons as black veterans typically struggle with homelessness at a disproportional rate. Dr. Wilkes lives in a period when black servicemen were still subjected to segregation in the south and were even required to ride on rail cars behind German POWs. Thus, the sacrifice being asked of Dr. Wilkes to turn against the one company out of sixteen that offered him a steady income is a very significant ask. He can be a homeless hero or an employed evil. This is where I discuss spoilers, so you may want to skip this paragraph. For a while, I was impressed by Dr. Wilkes…and then he died. He chose to do the right thing despite the disproportionate risk. Considering a sacrifice makes a hero, the bigger the sacrifice means the bigger the hero. Dr. Wilkes’ sacrifice for reasons explained earlier, makes him a significant hero. There is a lot of buzz now about the development of black characters. They are usually underdeveloped or killed off altogether. Thus, Dr. Wilkes’ fate was sad in the context of the story and for the state of diversity in the show. There is hope, however, for two reasons: First, we never do see his body. So anything can happen especially in Marvel where death only means so much. This “death” is due to his exposure to zero matter which ties in with a substance from the world of Dr. Strange, a character who deals with the weird and occult of the Marvel Universe and has a movie in the works. This zero matter is seen pulling people into nothingness. We assume they are dead. There is a distinct possibility that the absence of a body does not equate to death. Second, the powers that be responded to a specific demand from the audience for more diversity in the writing room and among the cast. The show has brought aboard an Asian and a black writer and had a black female to direct two episodes. So there’s that. And that is a big THAT. So, while nothing is for certain, things will probably turn out in a most unexpected manner. But because of Marvel’s specific effort to improve diversity and even its well-handled treatment of and investment into the characters of color and his world, AND the fact that we’ve only completed the first installment of an entire season, the safe and reasonable play is to give the show a chance before jumping to conclusions.